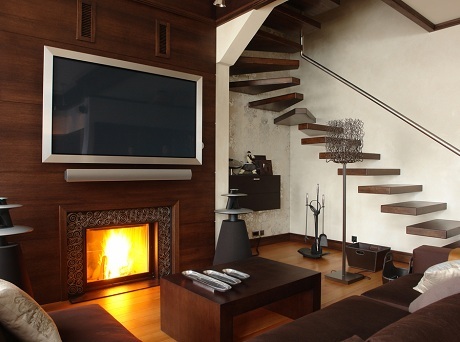 South Florida TV Mounting has been performing home automation services for over 10 years. From flat panel television mounting and installations to home theater design and audio solutions, we are a turnkey provider of home entertainment services. We have access to all of the components, tools and accessories that you need for your home entertainment project, often times at a deep discount compared to what the big box retailers charge. We are a licensed and insured company that works with both homeowners and business owners in the South Florida area. Give us a call today and experience why year after year we are voted as the #1 choice in the South Florida area. Customer satisfaction and quality workmanship is our stronghold, and our long list of satisfied and repeat customers prove that we are dedicated to producing details that you can hear and see. Every system that South Florida TV Mounting installs is calibrated to reproduce the best sound and video at the greatest possible value to the customer. This is a reputation that we are tremendously proud of and, through hard work and dedication, will continue to build upon. There is no other company that can provide you with the level of attention to detail, quality of work, the simplicity of operation and affordable pricing that we offer. At South Florida TV Mounting, we are in the business of "BUILDING SOUND RELATIONSHIPS!" Voted #1 in 2011 & 2012! South Florida TV Mounting has been named the #1 service provider in our industry for the past two years. To see what your neighbors are saying about out service, Click Here.